The hashtag, or the pound sign on any phone, has become popular in social media for bringing people together around a common message, or trend. Today, we use hashtags like ammunition to ignite a movement to bring thousands together. This is exactly the case of a recent controversy between The View’s Joy Behar and thousands of nurses around the country on Twitter, who are using hashtags to react. The rise in the use of hashtags has helped transform the way social media conversations happen. 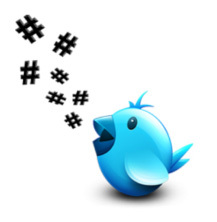 Hashtags, words or phrases preceded with the pound sign, are used on social media to connect comments on a specific topic and spark conversation. They are your organization’s opportunity to spread brand awareness and draw attention to a trend or idea. The goal of an effective hashtag is to get your marketing concept trending online and engage the online community. Hashtags should be simple so anyone can remember and use it. Be mindful that a hashtag that is too long will not give Twitter users enough space to respond with a 140-character limit. Selecting a unique hashtag should be an easy task. Try to avoid selecting a hashtag that is widely used by other organizations unless it is trending within your industry or scope of reach. If multiple organizations are already using your hashtag, it may be hard to witness the success of your campaign. Select a hashtag that will engage and start conversation about your message. There are many online templates that will help estimate the success of your hashtag. For example, Hashtagifyme.com lets a user input a hashtag they’d like to use and it tell you how that hashtag was used and the success of it. Success can be calculated through whether or not the hashtag was trending, or a popular conversation for people online. Trending hashtags are important to watch out for, especially, if you want to see if yours made the cut. By checking Twitter under the trending topics’ section, you are able to see what many are talking about and what they’re saying.